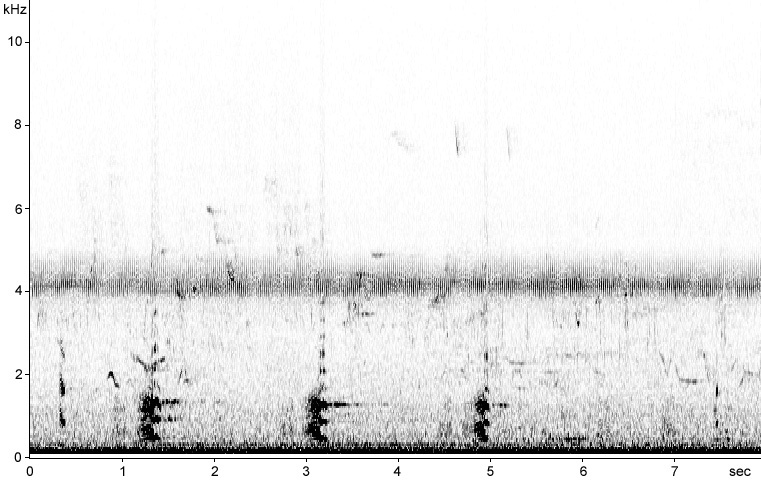 Territorial song (reeling at 4 kHz) from Phragmites reedbed. 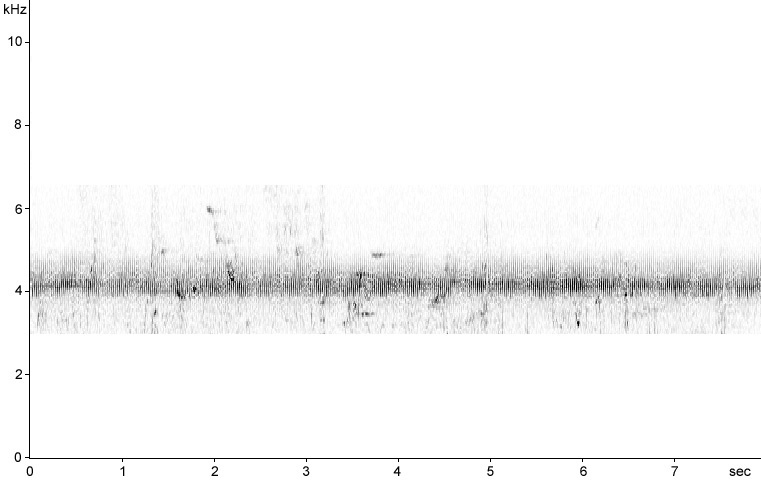 Part of a longer singing bout lasting around three minutes (from 7 seconds, the deep, low-pitched (c0.15kHz) territorial/advertising booming from a Bittern). 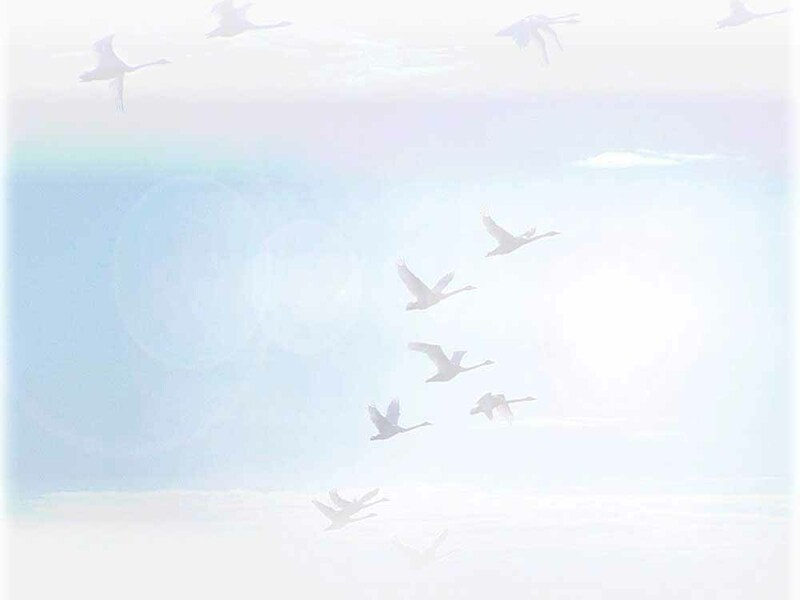 Territorial reeling song from reeds. 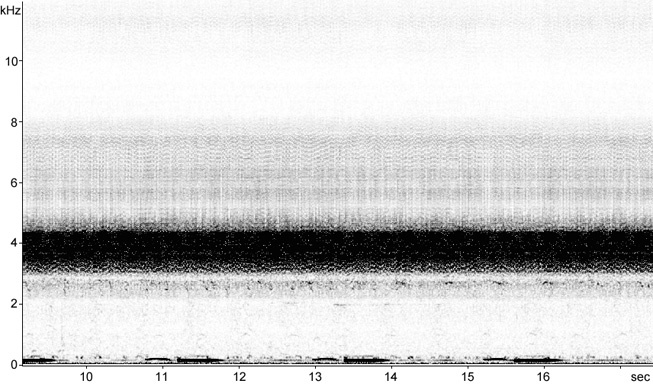 Territorial song (reeling at 4 kHz) from Phragmites reedbed created by habitat management in Seventy Acres Lake. 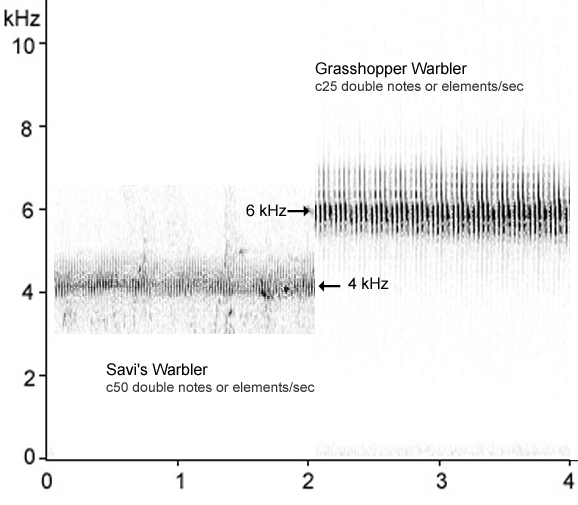 (Also low pitched Canada Goose honks and other wetland species). 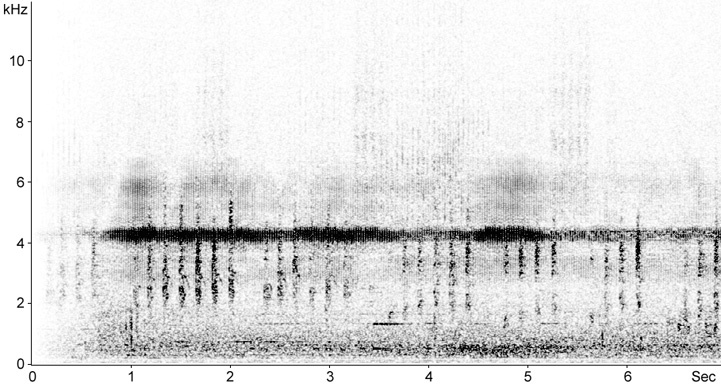 Territorial song (reeling at 4 kHz) from Phragmites reedbed created by habitat management in Seventy Acres Lake. 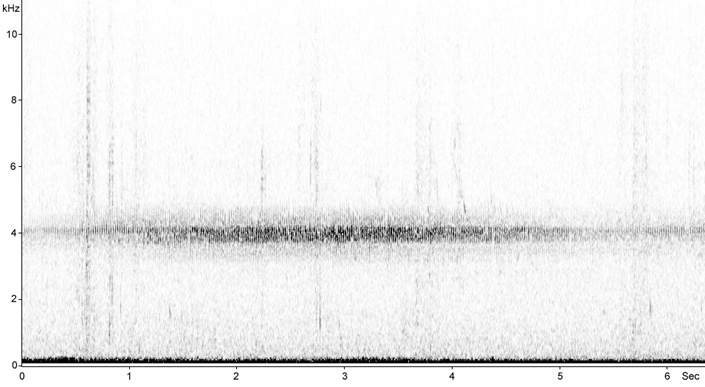 Territorial reeling from a distant bird in a reedbed.